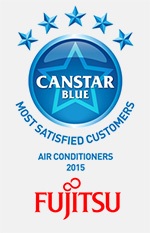 Fujitsu Air Conditioning is Australia’s number one supplier of quality air conditioners. Whether the aim is to cool a small room a full home or your workspace a Brisbane Fujitsu Air Conditioning specialist from H&H Air Conditioning can find the right Fujitsu air conditioning solution for your Sunshine Coast or Brisbane home or workplace. Fujitsu’s ongoing focus on air conditioning research and quality manufacturing techniques has not only seen Fujitsu Air Conditioning consolidate its position as not only the number one supplier of air conditioning products to Brisbane but the greater Australian market and sees Fujitsu producing market leading products on a world stage. Whether it’s ducted air conditioning or a Fujitsu split system. Get the quality you want with Fujitsu installed by one of H&H’s skilled Brisbane air conditioning installers. 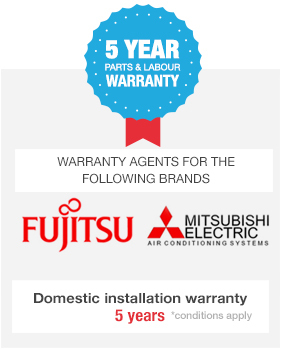 Why Choose Fujitsu Air Conditioners Brisbane? Fujitsu air conditioner units provide the ability to precisely control temperature, humidity and the quality of conditioned air in your environment. This can be a single room or small space or throughout a larger space like large home, office spaces or large open commercial areas. No matter how extreme the conditions outside your Brisbane property get, your Fujitsu air conditioner will keep you cool and comfortable. If you’ve been searching for ‘Fujitsu Air Conditioning Brisbane‘ or ‘Fujitsu Air Conditioners Brisbane‘ to find a trusted and authorised Fujitsu dealer, look no further than H&H Air Conditioning. Call our team today on (07) 3276 1800.